Gretna Green has joined another global romantic tradition! A tradition with unknown origins, reflecting the desire of couples to remain together forever...Lovelocks! 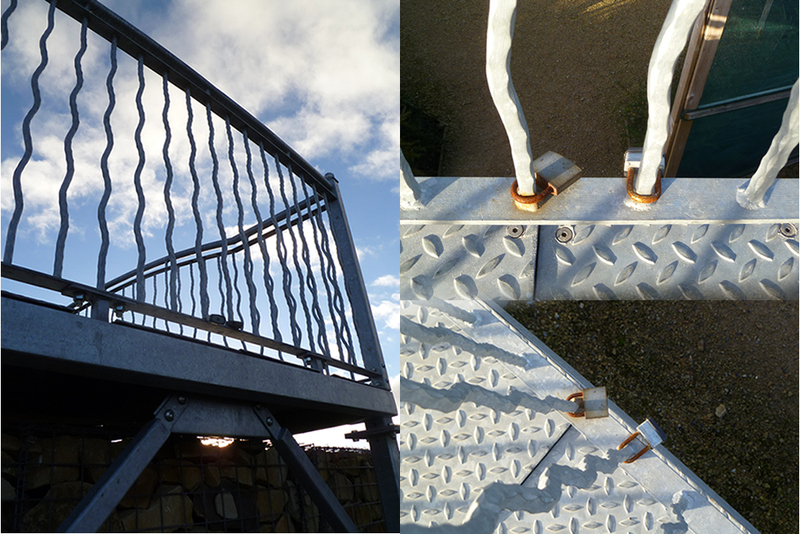 We recently found padlocks on the bridge in the Courtship Maze here at the Gretna Green Famous Blacksmith Shop! Awww! These 'love padlocks', or "lovelocks" are famously found on bridges across the globe with some of the most well-known collections in Paris and Florence! No one quite knows where, when or why this tradition - which usually consists of a couple writing or engraving their names on a padlock before attaching it to a bridge and throwing away the key - originates. One story says it was Italian soldiers after World War II placing locks on the Ponte Vecchio Bridge in Florence; another Serbian story has young singletons placing locks on a bridge after a schoolmistress died from a broken heart after her fiancé broke the engagement and married another. A third comes from China and the Yellow Mountain where there is the custom of 'locking souls together', and a fourth focuses on the Uruguayan custom which believes the locks protect love! Such a lovely heartwarming tradition - much like that of runaway weddings to Gretna Green! We're thrilled to have joined such a romantic tradition.. and you'll be safe in your choice of bridges at Gretna Green Famous Blacksmith Shop as we only have the one! Just like the stories and tradition of our anvil here at Gretna Green, the lovelocks offer a new tradition for couples whilst visiting this romantic site. A lovelock can even be the traditional 'something old' (or new)! So make sure to visit the Courtship Maze on your next visit to Gretna Green!